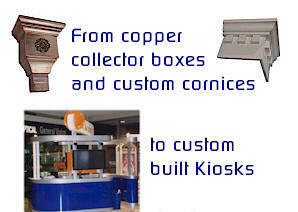 Eastern Metals Inc.. is known for it's excellent, precision metal fabricators. Eastern Metals Inc., has been providing standard sheet metal fabrication and custom metal fabrications to the architectural construction industry for over 20 years. 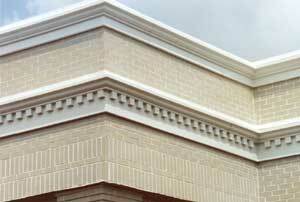 With generations of experience the Moulder Family fabricates products which exceed the industry standard for quality. Our attention to detail, professional experience, state-of-the-art equipment and production facility enable us to manufacture the range of quality sheet metal products, aluminum fabrications, stainless fabrications and custom metal fabrications the industry demands. Eastern Metals brings to each project, regardless of size or scope, the extensive capabilities of a full service organization. We are dedicated to the successful completion of all our clients' requirements including agreed-to deadlines and we offer competitive pricing. We provide a wide range of services from field measuring, shop drawings (CAD), latest fabricating techniques, to providing the most resilient finishes available. Custom Architectural Fabrications include: Specialty Fabrications, Roof Vents, Stair Pans, Railings, Copper Humidity Plant Trays for Plants and Orchid Care . . . and more! 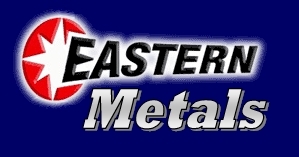 Eastern Metals Inc., our Metal Fabrication facility is conveniently located in Delaware on the Mid-Atlantic Seaboard between Philadelphia and the Baltimore - Washington area. You can be confident that we have shipped sheet metal fabrications and custom fabrication products all across the country! !